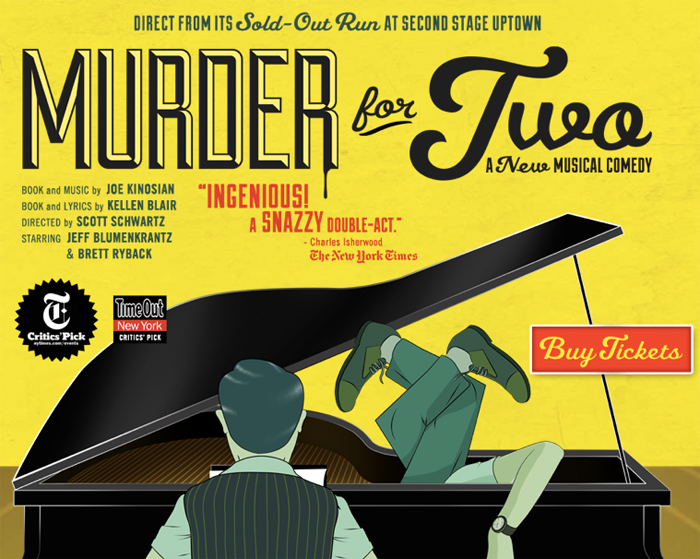 A trip to New York during the holidays isn't the same without a musical and I am so excited to go see this off broadway musical comedy, Murder for Two, this December. And, today's your lucky day cause I have a pair of tickets for one of you, too! For the date of your choice. Enter to win below! "Direct from this summer’s sold out run at Second Stage! Everyone is a suspect in Murder for Two, a hilarious musical murder mystery with a twist: one actor investigates the crime, the other plays all of the suspects and they both play the piano! A zany blend of classic musical comedy and madcap mystery, this 90-minute whodunit is a highly theatrical duet loaded with killer laughs."